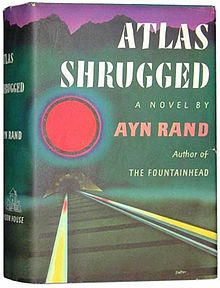 The same night a thousand pages' Atlas Shrugged loomed on my office desk. I’ve nimbly opened it, resolved to close in 5 minutes and get back to work. But Ms Rand had quite a character indeed. When the plane from New York to Los Angeles flew over the Rockies I stopped reading to involuntarily look for the Galt’s Gulch, chuckled at myself and finished the book with the plane touching the LA’s runway, returning me to the country without Ayn Rand. All these ordained as an irresistible escape for a reader from oppression of daily routine, from a struggle to ferret out intellectually challenging chums and a specific to a maximalist delving into futilities of semisolid cronies—the things Ms Rand seems to know too well. A trouncing stew of naiveté and purity with intricacy of the author's depth converts into a bewitching grip over a reader's imagination. From the middle of the book it occurred to me that all the inordinate achievements of Atlas' characters that the author extols appear dwarfed by her own achievement of writing the daring novel. 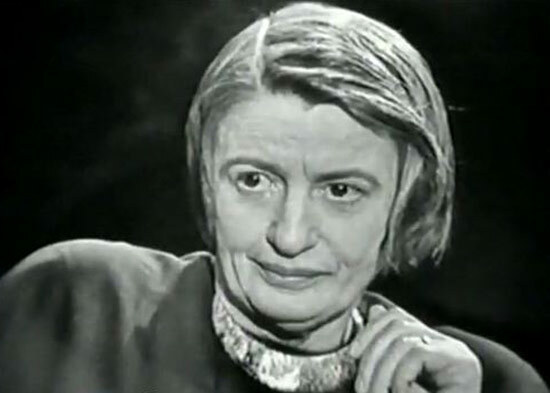 Despite the many flaws, the luxurious vastness of Ayn Rand’s intelligence and the translucent in the read, torching purity of her character have mounted for one of the greatest pleasures I have ever had. I value the significance of this book above some of the impeccable masterpieces for its divergence and liberating might. After I wrote the above I was told I've failed to dwell on the main issue of the book: the philosophy. But there is nothing to discuss for me- it’s so me, always been, always will be, just with less extremities.